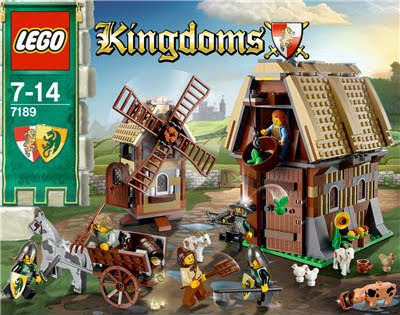 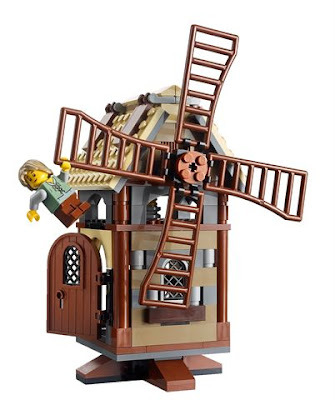 come with a barn and a windmill. 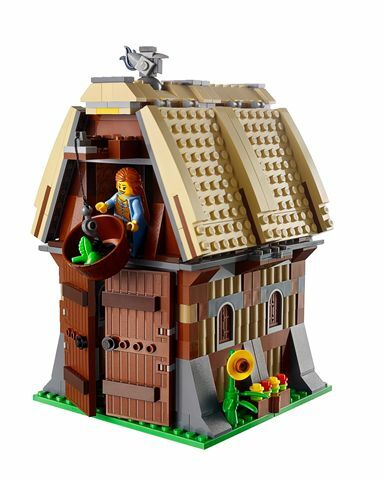 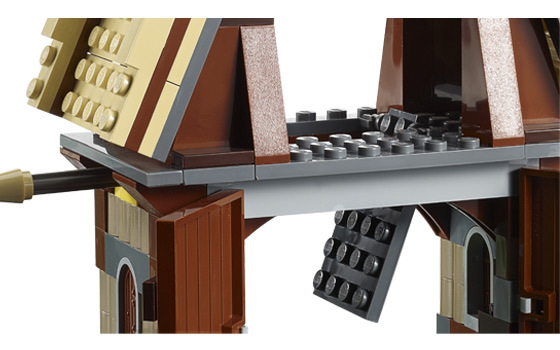 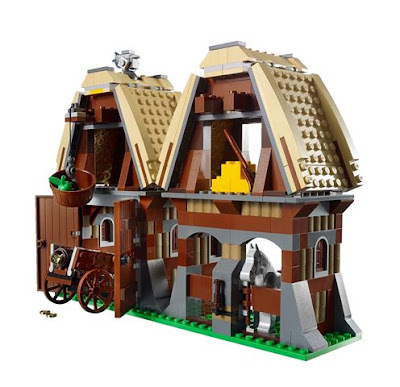 the barn has openable interior with 2 storey levels, a winch for lifting up the basket and a trap floor. 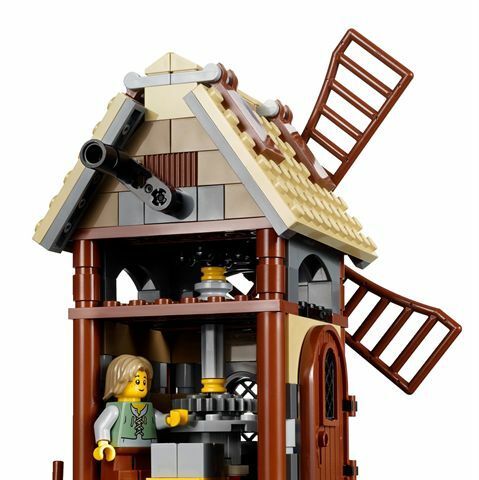 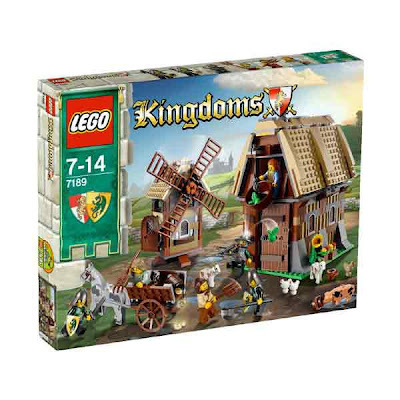 the windmill has gear rotatable wind blades. 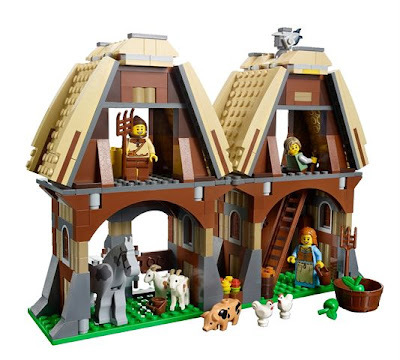 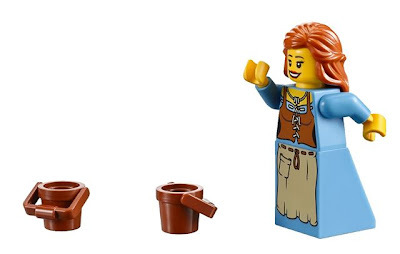 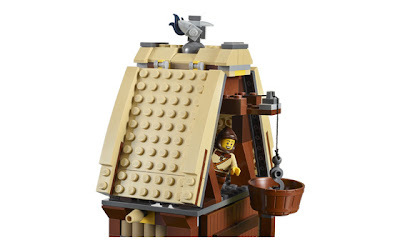 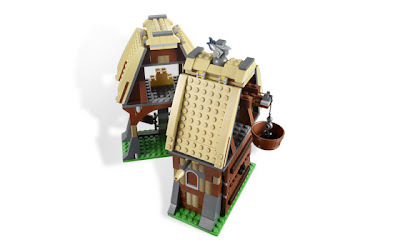 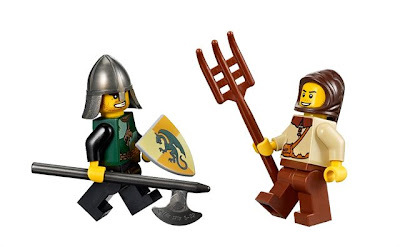 minifigs included a milkmaid minifig, a farmer minifig, a stableboy minifig and 3 dragon knight minifigs. 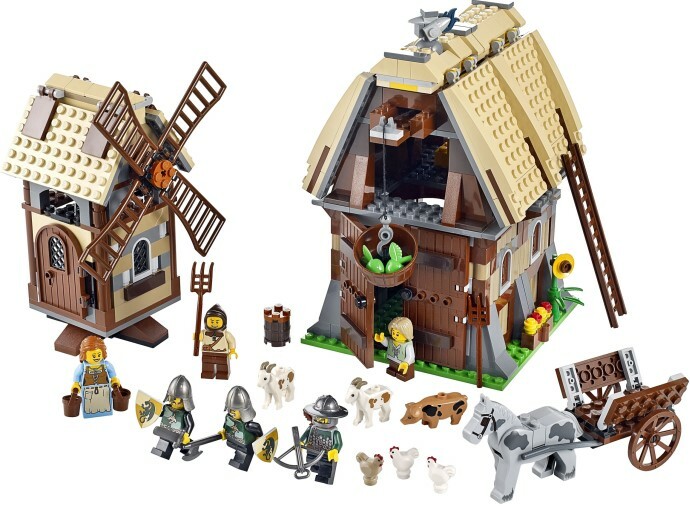 also included 2 goats, 3 chickens, a pig, a horse, flowers, pitchforks, buckets and 2 apples.